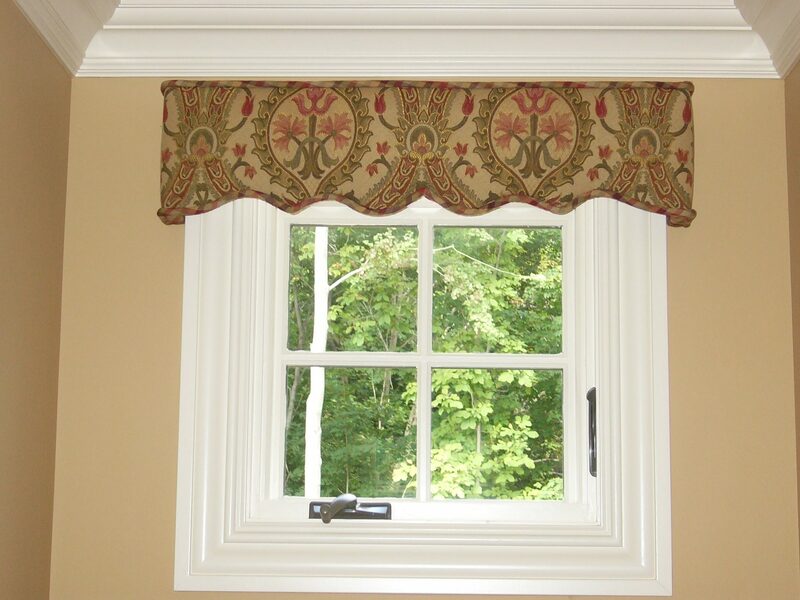 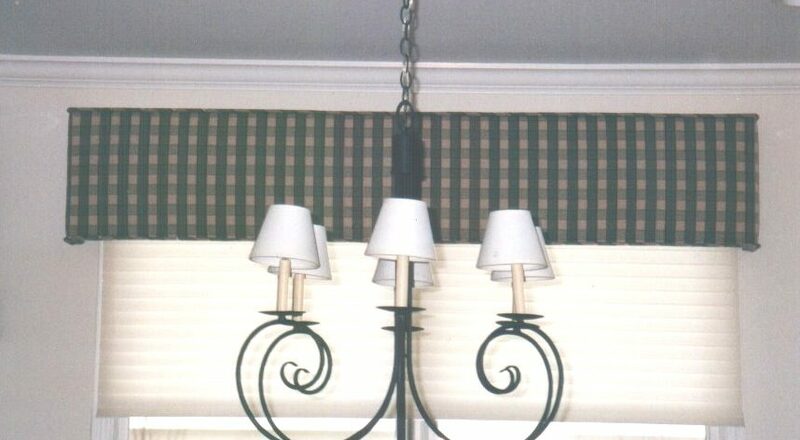 Cornices are essentially a box covered in fabric that is padded with foam that can have a straight or shaped bottom. 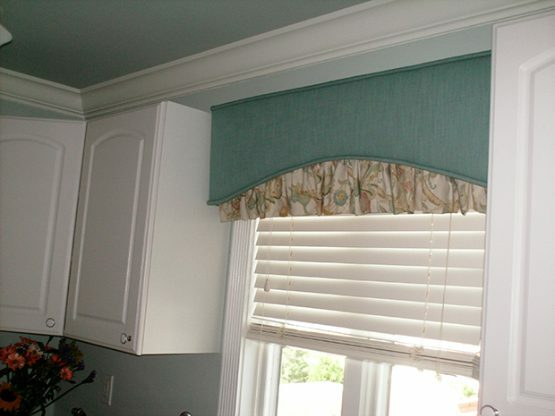 Soft cornice possibilities are endless, with extensive choices in fabrics, trims, colors, and textures. 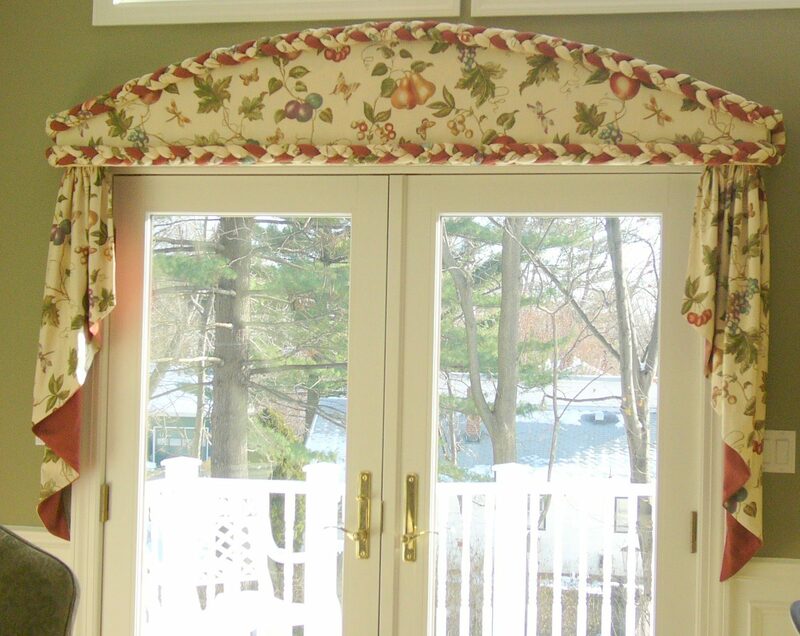 There are numerous benefits of using a cornice, especially when there is no need for privacy in a room, or the exposure to the sun is minimal.The use of these treatments becomes a good solution and a less costly one due to the minimal fabric needed to fabricate them. 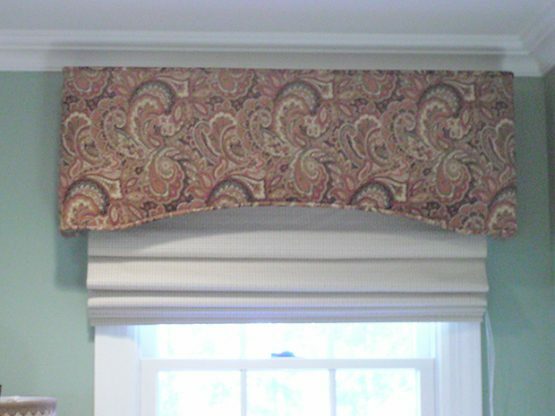 Another advantage of using cornices is when you have a shade or blind under a sheer drape, a cornice or valance is the perfect solution to complete the look.Cornices also work well when you wish to add multiple layers to a window treatment and a cornice will do the prefect job to conceal the hardware.